QROPS are designed to pay out benefits to members at the age of 55. They were structured in such a way so as to reflect the UK system, wherein 55 is also the earliest date that individuals are permitted to begin receiving their pensions. However, pension fund trustees in certain jurisdictions at present allow QROP scheme members to begin taking pension benefits before the age of 55‚ on the provision that the scheme member has lived outside of the UK for more than five complete tax years. Pension liberation – How could this affect you? The major protagonist in this case is Malta, the only mainstream jurisdiction for qualifying recognised overseas pension schemes that is both a member of the European Union and has a legal minimum age for taking one’s pension of 50. This stance is placing Malta at loggerheads with the QROPS regime. UK legislation stipulates that HMRC has the power to raise an unauthorised payment charge for those who have opted to take their pension before the age of 55. As such, a Maltese QROP scheme may be interpreted by HMRC as a potential vehicle for pension liberation (pension busting), and therein run the risk of being referred to the UK Pension Regulator. It is in the interest of both the industry and the QROPS scheme member that consistent pension legislation exists between Malta and the UK. A solution to the problem would be for jurisdictions to align the rules relating to access to pension benefits with those of UK pension plan holders. The objective of QROPS legislation in this area is to guard against individuals accessing their pensions early. Ultimately, the UK State does not wish to have to support individuals in retirement as a consequence of them being given access to their pension fund too soon. It is therefore better for all concerned parties that age 55 be universally accepted as the date for drawing pension benefits. Back at basecamp, UK pension funds may decide to challenge whether a QROPS provider in a given jurisdiction is offering access to pension benefits before the minimum requirement age of 55. As existing trustees, these institutions have a ‘duty of care’ to pension scheme members, and are responsible for ensuring that any transfer out of UK pension funds are not categorized as a form of pension liberation. One suggestion is that Scheme providers should play their part and forbid benefits being taken from pensions at the age of 50 as it is in conflict with existing HMRC rules on pension transfers. 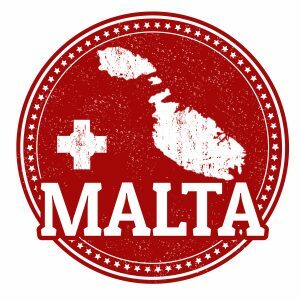 In Malta’s case, it is the responsibility of the Maltese authorities to report back to HMRC on all activity involving pension funds of UK origin. As such, HMRC will be informed should an individual with a Maltese QROPS take benefits before the age of 55. If all else fails, HMRC itself may decide to take action by ruling that the Maltese jurisdiction is in some way encouraging pension liberation. This could open up the possibility of the QROPS provider being removed from the published HMRC recommended list. Although current Maltese law permits people to take pension benefits at age 50, this should not encourage individuals to flout the QROPS rules laid down by HMRC. There will always be glitches and anomalies in a given process. The task of the industry is to monitor any changes in the rules, and their interpretation as they evolve.